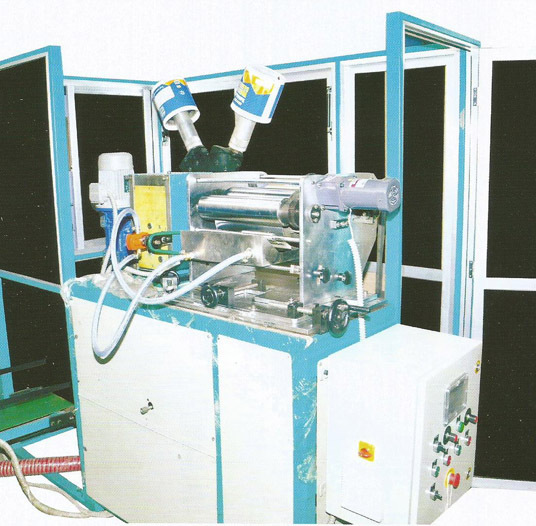 UV Lacquering Machine | Goldstar Dry Offset Pvt. Ltd.
Auto / Manual Loading system. Individual AC drive for uniform lacquer distribution on pail which helps to control lacquer layer on container. Re-circulation of lacquer with the help of pump. Lacquer spreading stations for uniform surface throughout the circumference. Auto ejection on conveyor belt.